I’m up early starting the morning fire in the wood stove. We are so blessed to be warm this morning as the ice storm has taken it toll on many family’s leaving them without electricity. My fire wood is just a little damp so its takes a little more effort to get it going. I was just thinking how relationship compare to a fire. When its working right we warm up to one another and find such comfort. When its not, to be honest we just get burned. I think we all understand that like a fire, relationships need to be cared for and maintained or they just burn out. Every once in a while you find a friend that God himself puts in your path and those we need to pay special attention to. Sometimes it’s through those people that the Lord speaks to us. If you have the time read with me of my account of the outward spiral of sparks that came from meeting one person and all the threads and connections that came from that original fire. Hang on here we go. It started with my great friend Kato and His invitation to come with him to His home in Uganda. A few days into the mission trip we were in the home of Tim Way a missionary from Tulsa Oklahoma. We had relaxed after a great meal Tim’s wife Jill had fixed and sit down at the computer to try to send an email back home. Tim asked me if I lived near Kansas city knowing we were from Missouri and if we knew about Metro Christian Fellowship and Mike Bickle “before IHOP”. I said we had been hanging around their meetings for about 10 years but I didn’t know him personally. He then said I think you are suppose to connect with my friends Dave and Joanne Norton who live in Nebraska they have spent time here in Uganda as missionaries and have a heart very similar to yours and looking to connect with Kansas City. “SIDE NOTE” A few days later we were at John Mulende’s church “The Trumpet Center” in Kampala Uganda. John asked us if we knew Mike Bickle and we we said not personally but we could get a message to Him. We took a short video of Him addressing Mike with an invitation to come to Uganda. Years later while at a transformations meeting in Kansas city with Wes Adams they meet. As I watched from the back as they shook hands I thought Wild how things connect in God’s timing. “Back To Tim” Tim seemed so sure of meeting them I dared not contact them. We connected by email first but I don’t email well or often so we decided to meet in person. They came to Kansas city and stayed with Dianna and I and we hit it off, Dave plays the keyboard and is a great worship leader and full of wisdom and humility. Joanne is the christian version of military secret ops with great faith and discernment. Together they make the perfect couple and the Lord seems to have them at the right place at the right time. Through the years we have connected at key times and I am so thankful for them. Joanne unlike myself is great at sending out emails and I remember time and time again requests to pray for Her friend Susie. Susie Jones is a trooper but fights her battles with constraints most of us could not handle. 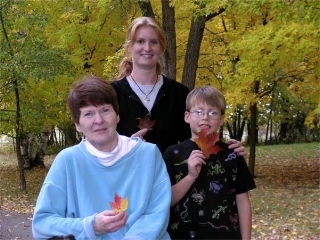 Susie is paralyzed and because of her condition she has had frequent health concerns. We have all prayed for her for years but Joanne has been a friend to her like no other. Several years ago I had several dreams about the Mississippi river and wanted to travel up to its source and pray. Joanne reminded me that Susie lived in the region and maybe we could meet there and pray for Susie. We did just that and had a great time. Ever since that time Joanne’s friend became my friend. She loves to pray, I need lots of prayer with all the crazy traveling I do… I know if no else does Susie is praying for me. I left on one trip and asked my Mom to call Susie and give her updates on the mission trip and its seems they have now become great friends and call each other every two weeks. The fire just keeps sparking and igniting new fires of relationship. The day we walked into Susie’s house my eyes caught a painting on the wall. All week I would find myself staring at the picture. It appeared light was shining out of it. I would move to different angles to see if that was possibles. Finally I asked Susie what is the deal with the painting I am not and art guy and it seems to be drawing my attention. Susie explained that her son Jay Jones is an artist and that he had given that to her as a gift. She went on to say that he calls it Illumination. I told her that if he ever made prints of it I wanted to purchase one. Long story short that happened and My wife Dianna had it professionally framed and is wrapped up waiting for Christmas morning. 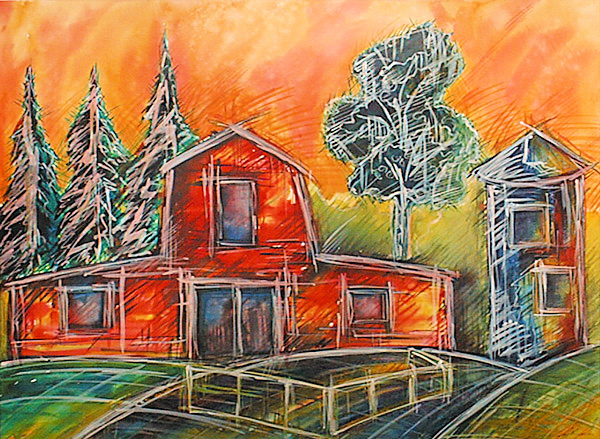 I leave in a few days for Uganda and fly in on Christmas eve I can’t wait all my grand-kids will be there opening their gifts and when the last one is open I will open the painting and hang it on the wall near the wood stove. My favorite place snuggled up with Dianna the babies the fire and the painting reminding me forever the barn for me is my life its old warn full of memories yet still full of purpose. At this Christmas season it will stand as special reminder to me that of all the places God the father could have chosen to reveal His precious son He picked out a stable a barn so to speak. I may be an old barn but the King of Glory resides inside and when you see me shining its not me its the King Shine on Jesus Shine on. January 13th early in the morning my wife Dianna woke me up and told me “you sure are sleeping loud” I knew it was true I had been dreaming I was back in Africa and I had been dropped into the middle of devastation. 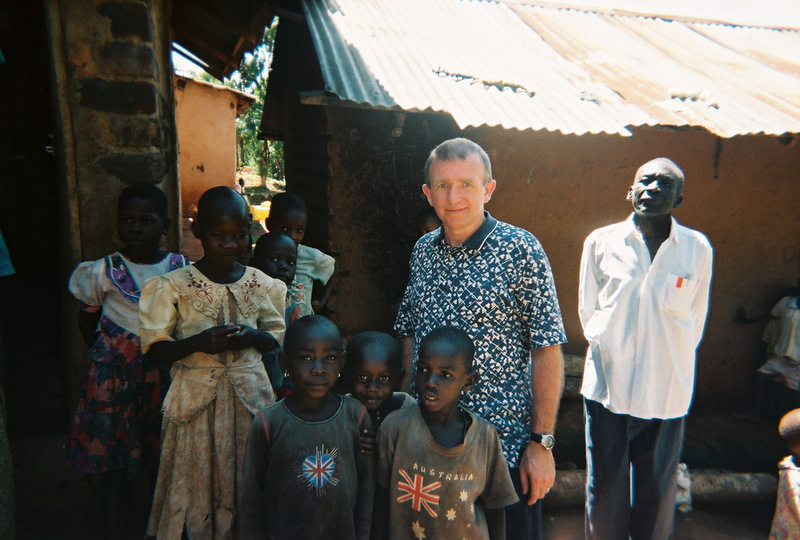 I was working to get orphans into homes. It was overwhelming, one minute I was in Africa the next I would be back in Missouri. Then the dream slowed down into slow motion. I had been trying to get someone to explain to me what had brought about such devastation in Africa and how I ended up in the middle of it all. There it was the longest train I had ever seen, it was a old coal burning train. 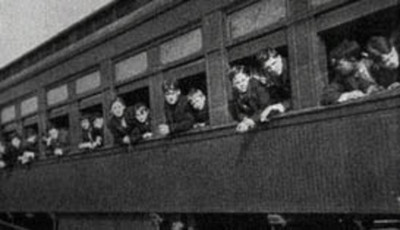 It was pulling passenger cars and on each car was written Show Me Orphan Train. In the windows were little faces pressed against the glass. At this point I am crying looking into the faces of desperation to be loved, it was overwhelming. In the dream Linda a 20 year old Ugandan girl that is living with us while going to college pointed at the children and said “John it’s about them” I woke immediately with all kinds of emotions. I thought about the meeting I have today with my friends from Alma Missouri introducing them to Gizaw my friend from Ethiopia who will be talking to us about the need for orphanages in Ethiopia. I thought about our friends John and Sharon who minister in Kenya that had just been at the house talking about the conditions there. I thought about my own experiences in Uganda, Egypt and Ethiopia. Then I thought about a teaching that Regina Shank does on overcoming rejection and She tell’s stories about the orphan trains that would move from the east coast to the Midwest dropping off children to waiting families. Of course there are some bad stories about abuse and using the kids as slave labor. As a whole the Midwest provided homes, I myself have a great grandmother who was an orphan and was taken in to a wonderful family in Beatrice Nebraska. Here is an advertisement below that appeared in the Troy Free Press Feb 11, 1910. Troy is in Lincoln County. WM. YOUNG G. W. COLBERTApplications must be made to, and endorsed by, the local committee. Opera House, Friday, Feb. 25, at 1:30 p.m.
Well I have to get going and get ready for Church, I just wanted to get the dream down before I forgot it. I hope it will stir you up to pray for those all over the world that have no place to call home and no one to call family. They need to know they have a father who has declared so from heaven. Some times we need to be reminded as the church we are His hands and Feet and more than that we are His Family with open arms and open eyes. Psalms 68:4-6 Sing to God, sing praise to his name, extol him who rides on the clouds– his name is the Lord– and rejoice before him. 5 A father to the fatherless, a defender of widows, is God in his holy dwelling. 6 God sets the lonely in families, he leads forth the prisoners with singing; but the rebellious live in a sun-scorched land. Dianna and I just got back from seeing Bucket List. I feel asleep not because it was boring but because I had been up since 3 am and had worked until noon. It definitely was not a christian movie with some strong language and a soft message that implied all roads lead to heaven. There was however a cord struck in my heart. Living Life unshackled by fear and not waiting until the last moment to do something about it. The question is raised if you knew exactly when you were going to die what would you do different. I think the biggest enemy for a christian is fear. Fear of failing. Fear of rejection. Fear of being alone. Fear of making God mad. Unless we have experienced the depths of the Love of Christ we shrink back in fear. In Paul’s apostolic prayer in Ephesians perfect Love is made clear. If we are operating in fear or sitting back doing nothing because of fear realize that’s not coming from God, but the enemy. Power Love and sound mind now that comes from the Lord. Fear when it runs its course will torment you, friends the answer is in the Love of Christ, as we return with our whole heart to Him and rest in that Love that fear must flee. 1 John 4:18 There is no fearin love; but perfect love casteth out fear: because fear hath torment. He that feareth is not made perfect in love. With a heart free of fear and made perfect in love we can live life without regret and live life to its fullest. What a difference we can start making in the lives of our family and friends not to mention strangers. They are waiting!!! Jesus, God’s only begotten Son, and at the same time He was a man’s Man. During His 33 years on the planet He created He related to real every day people and knew how to get to Them. My favorite hook He used was that of the fisherman. Jesus was calling these rough young fisherman to be become His disciples and He caught them with a word picture they could understand “I will make you fishers of Men”. Mark 1:14-18, 14 Now after that John was put in prison, Jesus came into Galilee, preaching the gospel of the kingdom of God, 15 And saying, The time is fulfilled, and the kingdom of God is at hand: repent ye, and believe the gospel. 16 Now as he walked by the sea of Galilee, he saw Simon and Andrew his brother casting a net into the sea: for they were fishers. 17 And Jesus said unto them, Come ye after me, and I will make you to become fishers of men. 18 And straightway they forsook their nets, and followed him. Let me tell you how Jesus hooked me the same way. It started back with John William Gross my grandfather who by trade was a lineman for Kansas city power and light but at heart He was a river rat. From the time I could cast my zebco 33 grandpa went to work teaching me how to tie a knot that wouldn’t break and how to take a hook out of the fishes mouth without getting stuck. Above all He gave me time and attention. Years later as an adult I was in the back yard working in the garden when our neighbor Denver Stark ventured over and said “the Flathead are moving up grand river”. I told Him I had never fished for Flathead and asked Him if He could teach me how. He did and that lead to the greatest summer of fishing I have ever experienced. My wife’s cousin Jeff Arnold and I took His canoe up the river with a 5 gallon bucket of live bait fish and limb lines that we tie off on good green limbs. We set our lines and went to make camp. We had just started a fire when we heard what sounded like a deer crossing the river. As we watching the bank up river about 50 yards no deer came in sight. The splashing continued and we thought oh no that poor deer got tangled in our line. We jumped in the canoe and paddled away. It was just getting dark and the green limb was under water. I leaned over the side and found the line and lifted it up slowly and then the hardest jerk you can imagine sent my heart into fast mode. I reached for the dip net and 20 minutes later Jeff and I wrestled the Big Cat Fish in the boat. Here is the picture of me with my first of many big cat’s. Not to far in time from this picture God hooked me. I had been a Christian for about 10 years. I was working with the youth, doing a lot of prayer, writing music, doing jail ministry you know normal Christianity. I had just read a book that had challenged me to ask the Lord if I had any hidden sin issues so deep that I had even hid them from myself. Nothing happened for several weeks then it happened. My wife Dianna had me sit down and told me to brace myself. I was not braced enough. She told me that Her best friend at the time Karen had married my arch enemy Kevin. Karen was a Christian He was not, and She had asked Dianna if I could befriend Him hoping to get Him into church. Dianna had explained there was bad blood between us and that might not be good. I went off, yelling and screaming, then I remembered what I had prayed and could not believe I had so much bitterness built up inside. Even after much prayer and repentance it took two weeks for me to agree to meet with Kevin. We had a meal together, and we both felt uneasy but worked hard, mostly to make the wives happy. We eventually became friends and Kevin starting to come with us to Church and about 6 months later during an alter call He went up. My good friend Steve Lovelace and I prayed with Kevin as He asked Jesus to forgive Him of His sin and asked Him to come into His heart. There was a massive change in lifestyle and we were all so happy. Several weeks later Kevin was killed in a head on collision by an oncoming truck. You have no idea how glad I am that I asked the Lord to reveal any hidden sin like unforgiveness. I am so glad the Lord was and is faithful and longsuffering. If we want to catch the big fish we MUST lay our nets down and follow Jesus. What an adventure ahead, Happy Fishing. A couple of months back I received a call from the community Library in Adrian Missouri. I was invited to do a book signing with several men who had written books who had lived in Adrian. Of course I said yes with a chance to go back and see some of my old friends I had not seen in years. I first meet Don in the mid 1970 while stocking shelves at Yoss Thriftway. Don’s mother Alma worked at Yoss’s and She was at the top of my good list. Not because She made the best Cinnamon rolls in the state of Missouri, though that helped. She was the best example of a grandmother I knew of other than my own. She took me under Her wing and I will never forget Her. Don would come into the store for something and catch His mother’s eye. I always knew She was proud of Him I just thought it was because He had built a successful business selling and repairing TV’s and appliances and introduced cable TV to Adrian. Only as Don began to speak about His book did I understand the depths of Her pride. I had the privilege of reading Don’s Book and highly recommend it. Don writes from a humble point to the reader, His grandchildren and we the readers get to listen in. That my friend is powerful. For me it took me back to the late 1960’s as we would watch the evening news as my mother watched with one hand over mouth. Her brother Ronald Holmes flew a helicopter in Vietnam and many times I could hear Mom praying for Him in Her room. For years it was our daily reminder that we were at war. My experience about men who came home from that war was don’t ask questions. I knew they had been spit on and rejected by many Americans who had been caught up in the flower power 70’s thing. For me it was sickening, these men were not much more than boys that had been drafted into an unpopular war. May everyone of them hear “Welcome Home” I pray that God himself will lift the pain and rejection these Hero’s suffered by the ugly actions of those they served. Ok enough of my soapbox on to Don. Don describes Himself not as a Hero but one who served along side Hero’s. I say this, a real Hero is called one by others and sees oneself as a shadow in the company of greatness. I find Don a Hero for exposing His heart to the world. I found the book refreshing seeing how the hard conditions of Don’s childhood prepared him for War. He had Hope instilled in Him and though shaken, it remained and served as a compass keeping Him going in the right direction. Here it is James 1:2-3 My brethren, count it all joy when ye fall into divers temptations; Knowing this, that the trying of your faith worketh patience. Let me introduce to you Susie Jones. I was introduced to Her by my Friend Joanne Norton. Susie has great insight for and about the body of Christ. After taking an honest look at the church, world wide we would have to say it is sick and weak and I would add paralyzed. As you read Susie’s life experiences below, I would challenge you to be part of seeing the body of Christ healed by asking Jesus to once again be the head and respond as He leads. What are the chances?! I was 22, 2 days shy of my 2nd wedding anniversary and 3 months pregnant. Suddenly the bottom fell out. Car accident, spinal cord injury, paralyzed from the chest down. Bummer! Major, major bummer. But, the good news is, I knew the God that answers prayer. Unfortunately, I didn’t know Him very well. Fortunately, He knew me extremely well … as in, “For it was you who formed my inward parts.” And He wanted me to know Him well. Lots to learn, lots and lots to learn. And I have, and I will continue to do so. Learn that is. But it isn’t always easy. You’re more than likely familiar with 1 Cor. 12:25-26 The way God designed our bodies is a model for understanding our lives together as a church: every part dependent on every other part, the parts we mention and the parts we don’t, 26 the parts we see and the parts we don’t. If one part hurts, every other part is involved in the hurt, and in the healing. If one part flourishes, every other part enters into the exuberance. My body serves well as an object lesson for that verse. My head and arms are still very much intact. But it takes the whole of the body, working together, to achieve maximum health and well-being. What happens when the whole becomes the fraction? Think 2/3 paralyzed; 1/3 not. Well, at times, chaos reigns. But hold on a minute. Let’s consider the body of Christ. We like to refer to it as the church. What happens when that body is cut off from the head which is Christ Jesus? What happens when communication is either not received or it is not received correctly? The body no longer feels the pain of its other members, the more “uncomely parts.” Wounds develop that aren’t immediately visible, and they rot inwardly until they become visible outwardly. [Think pressure sores … interesting, the word pressure. Whether external or internal the wound is real.] Those same wounds have to be daily debrid and packed to insure that a surface healing doesn’t occur and leave the deeper wound festering inside. What happens when all the body’s members don’t work together to insure wholeness, and one part can’t fulfill its function and the other part becomes dominant and eventually suffers due to excessiveness? What happens to that body when “sin lurks at the door,” and it is not dealt with in a timely manner? When the “blood” supply is cut off? Well, let’s go back to I Cor 12:14b-24. The Message Bible makes it fairly clear. 14b A body isn’t just a single part blown up into something huge. It’s all the different-but-similar parts arranged and functioning together. 15 If Foot said, “I’m not elegant like Hand, embellished with rings; I guess I don’t belong to this body,” would that make it so? 16 If Ear said, “I’m not beautiful like Eye, limpid and expressive; I don’t deserve a place on the head,” would you want to remove it from the body? 17 If the body was all eye, how could it hear? If all ear, how could it smell? 18 As it is, we see that God has carefully placed each part of the body right where he wanted it. 19 But I also want you to think about how this keeps your significance from getting blown up into self-importance. For no matter how significant you are, it is only because of what you are a part of. An enormous eye or a gigantic hand wouldn’t be a body, but a monster. 20 What we have is one body with many parts, each its proper size and in its proper place. No part is important on its own. 21 Can you imagine Eye telling Hand, “Get lost; I don’t need you”? Or, Head telling Foot, “You’re fired; your job has been phased out”? 22 As a matter of fact, in practice it works the other way – the “lower” the part, the more basic, and therefore necessary. You can live without an eye, for instance, but not without a stomach. 23 When it’s a part of your own body you are concerned with, it makes no difference whether the part is visible or clothed, higher or lower. You give it dignity and honor just as it is, without comparisons. 24 If anything, you have more concern for the lower parts than the higher. If you had to choose, wouldn’t you prefer good digestion to full-bodied hair? At age 22, I may have opted for full-bodied hair. But I am older now and hopefully wiser. And good digestion is a good thing – a very good thing, both physically and spiritually. Else how would we digest the “meat,” Paul talks about? The meat of the word. The meat of daily prayer and communing with the Lord. Strong meat. We are given a commission. We are told in the gospels to go into the world and “preach the gospel, heal the sick, raise the dead, cleanse those who have leprosy, drive out demons ….” A fairly straightforward commission. A simple enough plan. Until we have tweaked the gospel to the point where it is so politically correct that the power, the passion, the life, the salt and the light are not only indistinguishable, they are completely gone. And yes! The blood. The blood without which the natural body has no life. The Blood without which the church body has no life. The shed blood. Let’s remember the message of Romans 1:16 – For I am not ashamed of the gospel of Christ, for it is the power of God to salvation for everyone who believes, for the Jew first and also for the Greek. It takes a body that is totally dependent on receiving clear communication from the head. It takes a body in which none of the members are cut off from the blood. “This is my blood, shed for you.” Jesus gives the clear command. “Go, and preach the gospel*. I woke this morning a little overwhelmed. I leave tomorrow with two college students for Uganda east Africa. I think its my 7th trip to Africa and my 6th trip to Uganda. It should be old hat by now but here I am pressing in at the last minute believing for all the pieces to come together while up to now they have not. God is always on time and not to often early. One day I will walk in that, and not just know it with head knowledge. We will be doing interviews and making a documentary so to speak trying to raise funds to build an orphanage with my long term friend Richard Kaaya. That is not the norm for me, I have never done anything like this I usually am handing out bibles and training pastor’s in the bush. I know from experience that when I get there they will have me speaking and right now I feel a little dry and empty and a that seems when the Lord comes through the strongest, when we are at our weakest. Just being transparent. Back to the point at hand as I struggle to get my day started I keep hearing in my spirit the phrase “If God Be With Us” now I know that in Romans 8:31 it says “ What shall we then say to these things? If God be for us, who can be against us?” but that is not what I was hearing so I googled the phrase and picked this post about my hero Leonard Ravenhill : In Judges 6, Gideon is older, and while threshing corn, is fearing an attack of the Midianites. For seven years, the once liberated slaves of Pharaoh had again become captives. Dens and caves were their homes. No longer were they able to sing the Lord’s song. It must have sounded like a fairy tale when that angel appeared to Gideon and informed him, “God is with thee, thou mighty man of valor.” Yet he shot back the answer, “If God be with us, where be all his miracles which our fathers told us of?” This answer makes clear that Gideon was expecting some supernatural evidence. To him, the seal of the Lord’s presence would be something that could not be rationalized.Alas that today there is more evidence of religious sensation before our eyes than evidence of spiritual regeneration and supernatural phenomenon! Not many Christians today can forget the fact that the devil goeth about as a roaring lion, but we seem to have lost sight of the fact that the Lion of the tribe of Judah has defeated the roaring lion of hell, and therefore every anointed Samson or Gideon or church can also slay the lion of hell. Though wicked men are doing wickedly, God’s promise to us is that “the people that do know their God shall be strong and do exploits” (Daniel 11:32). God pity us that after years of writing, using mountains of paper and rivers of ink, exhausting flashy terminology about the biggest revival meetings in history, we are still faced with gross corruption in every nation, as well as with the most prayerless church age since Pentecost. Judges 6:12-14 12 And the angel of the LORD appeared unto him, and said unto him, The LORD is with thee, thou mighty man of valour. 13 And Gideon said unto him, Oh my Lord, if the LORD be with us, why then is all this befallen us?and where be all his miracles which our fathers told us of, saying, Did not the LORD bring us up from Egypt? but now the LORD hath forsaken us, and delivered us into the hands of the Midianites. 14 And the LORD looked upon him, and said, Goin this thy might, and thou shalt save Israel from the hand of the Midianites: have not I sent thee? Wow I remember the 5 w’s of good journalism who what where why when. God said He is with us, we give the 5 w’s He say’s simply go with no explanation, just GO. Here we are at the Christmas season no better time to think about Jesus, Emmanuel, God with us. Matthew 1:23 Behold, a virgin shall be with child, and shall bring forth a son, and they shall call his name Emmanuel, which being interpreted is, God with us. Jesus paid the ultimate price to be with us and He said in Matthew 28:20 teaching them to observe all things that I have commanded you; and lo, I am with you always, even to the end of the age.” Amen.